Are there any rumors about an NRSV Catholic Study Bible. You would think with the Canadian Catholic market (since they use that translation in Mass), the universities (many of them Catholic) also use the NRSV, that a publisher like Harper Collins would put one out. Just a thought. I have not heard of any new Catholic Study Bibles being produced with the NRSV. The closest thing would be Ignatius Press's Ignatius Study Bible, which uses the RSV-2CE. They are almost done with the New Testament, although I would really like to see them pick up the pace a bit. Tim, I'd agree, I'd prefer more cross-references than a concordance. If I need a concordance, I'll probably look it up on my computer or online. 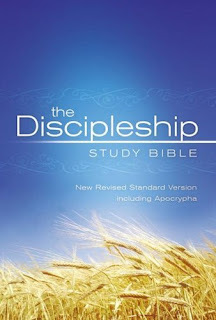 When I reviewed the DSB here, I said it was more of a devotional than a scholarly study bible. I think if I wanted scholarly notes, I'd go with the a commentary or the HCSB or NOAB. But I see nothing wrong in having a pure devotional bibles. I wish the NRSV had more. i've been trying to figure out a good place to start with the acai free trial and was just wondering if anybody had some thoughts on whether or not it works to lose weight? So far here is the one [url=http://acaiberries.blinkweb.com/new-blog.html]article[/url] I have been able to check out that seemed realistic for what my goals are. Opinions?